Planning permission is required for around 60% of the conservatories and orangeries we construct, however it rarely presents a problem other than a small time delay. Often the main issue is whether the extension can be classed as “Permitted Development” and whether your property has had its Permitted Development Rights removed. In the case of most new homes where house builders have been less than generous with the garden space, these rights will have been removed as a condition of the original planning consent. Many people have been caught out by this; building garden structures under the assumption planning permission was not needed. In instances where Permitted Development Rights have been removed, we used to find that planners tended to be more lax with subsequent applications, however recently this has proved not to be the case. There are also many local “conservation areas” where permitted development rights have been removed or reduced. Generally the emphasis is on the design and materials used matching the existing building, which presents no problem to us. In either case we are able to take care of the planning application free of charge, as long as we get to build the conservatory! The target time for planning departments to deal with applications is eight weeks, as laid down by central government, however this does tend to vary between different local authorities. Once we have submitted the application, we are normally able to book a job to start around the time we expect permission to be granted. This means that you do not have to wait for permission and then go to the back of the queue. However, we are not quite able to get planning permission one day, and then start the next! Conservatories on statutory listed buildings will require planning permission and listed building consent. The easy part of this is for us to build the conservatory to the approved design, using approved materials and techniques. The design / planning process is not always quite as simple! The challenge is to marry the client’s requirements with those of the planning officer. Normally both the client and the design and conservation team will have the same goal; to ensure that the extension will be in keeping with, and enhance the existing building. The trick is to get both parties to agree on how this is best achieved! Rules changes on October 1st 2008 regarding Permitted Development Rights. 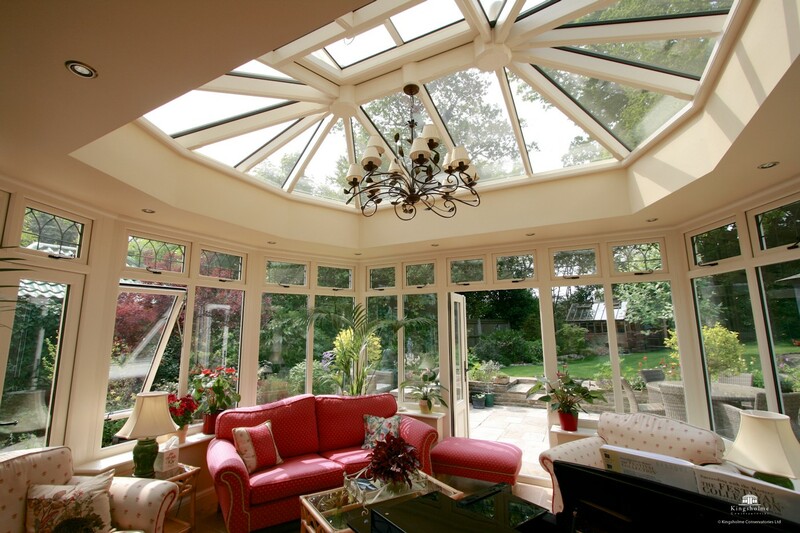 These changes mean that your conservatory will be exempt from planning permission if it extends less than four metres from the line of the original dwelling in the case of a detached house, and three metres in a semi-detached or terraced. It also must comply with other criteria such as being no closer to a highway ( a potential issue on corner plots) and that less than half of the total area of land around the original house is built on, this include previous extensions and outbuildings. Furthermore, additional restrictions apply to the height of the conservatory, its ridge and eaves must be lower than those of the main house, and less than four metre high. The structure must be predominantly made from glass or a translucent material; the roof must have at least 75% glazing and the windows 50%. However, if your Permitted Development Rights have been removed, none of the above applies and you will definitely require planning permission. This is often the case on newer estates where the removal of the P.D. Rights was a condition of the original planning consent for the estate to be built. Obviously this is only a brief summary of the rules, if in any doubt consult your local authority or speak to a conservatory specialist. In May 2013 the government announced a temporary relaxation of the Permitted Development rules to help stimulate the economy. This can allow single storey extensions, including conservatories and orangeries, up to a depth of eight metres from the original house, to be constructed without planning permission in certain circumstances. Neighbours do have to be consulted under a fast-track scheme and there are restrictions in protected areas, however we have helped a number of clients take advantage of these new rules, often adding an orangery to the back of an existing extension. This scheme has been extended until May 2019.